A man has been charged with fraudulently claiming a £2.5m lottery payout. Hertfordshire Police said a ticket was submitted for an outstanding lottery prize and £2.5m was paid out in 2009. Edward Putman, 53, of Station Road, Kings Langley, Hertfordshire, has been charged with fraud by false representation. The force said an investigation began in 2015 "after evidence came to light that the claim was not genuine". 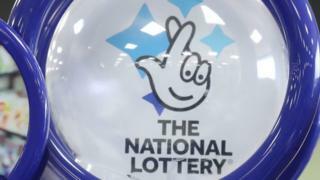 A spokesman for Camelot, which runs the National Lottery, said it was "not appropriate for us to comment at this stage, given that the matter is now the subject of criminal proceedings". Mr Putman has been released on bail and is due to appear at St Albans Magistrates' Court on 16 October.